Support tickets, customer service ticketing systems, help desk tickets — these terms are ubiquitous in the customer service software landscape. 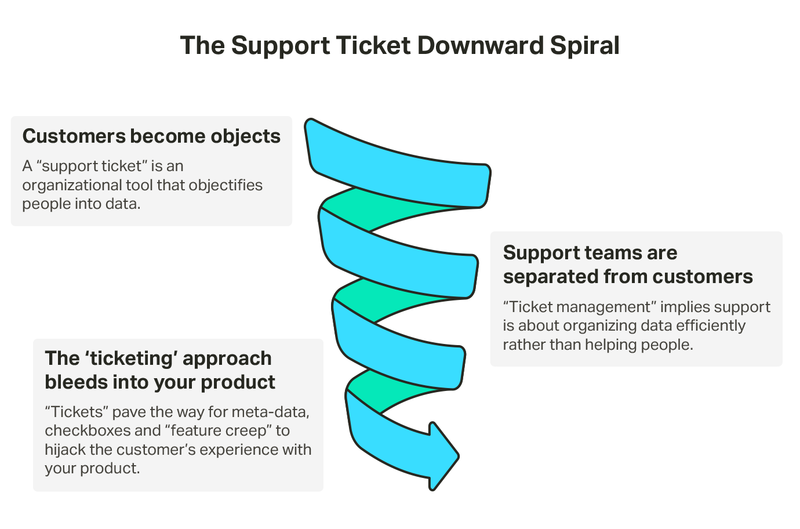 And most of the support software on the market uses “ticketing” to describe what their help desk does, because … that’s just what it’s called. There’s certainly an argument to be made for “ticketing” terminology. “Ticket” is the common term for how customers and service representatives interact with one another. Have an issue with a company’s product or service? File a support ticket. 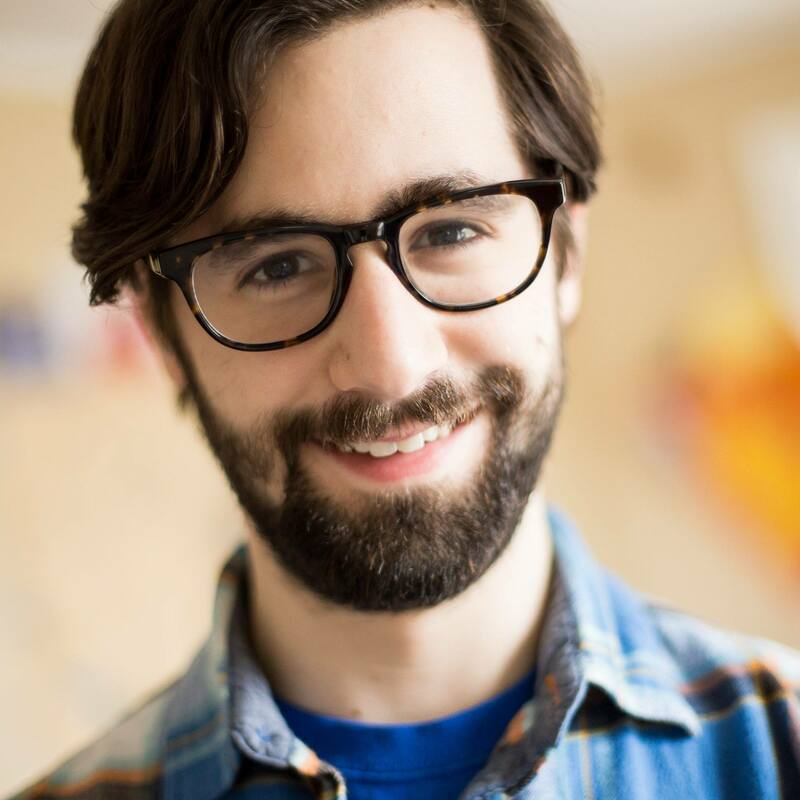 Need assistance with a piece of software? Open and track an issue in whichever ticket management software program your IT department uses. But every customer service expert knows that choosing the right words matters. 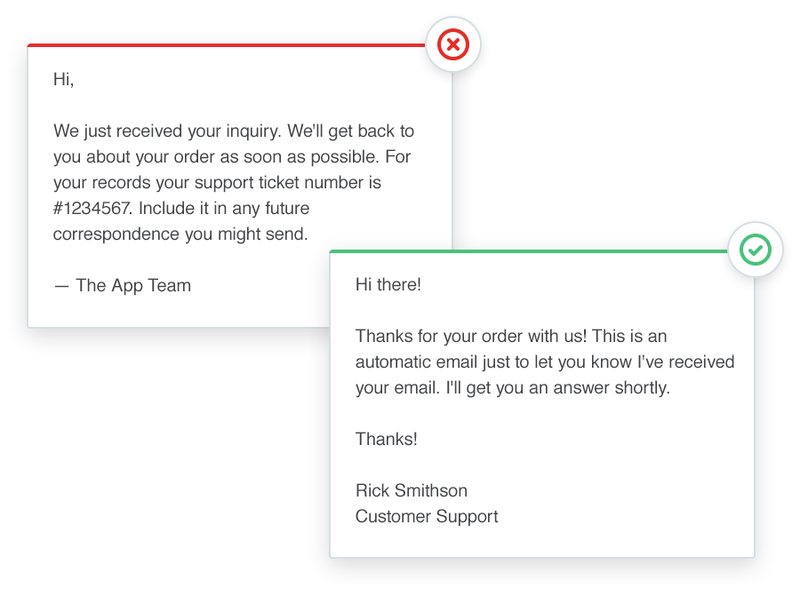 That’s why we approach customer interactions as conversations — not support tickets. We’ve had customers ask about why we use the term “conversations” to describe what our help desk does — is a conversation the same thing as a ticket? If not, what are the differences? Is this just another example of a software company getting a little too precious with its nomenclature? The choice to call customer interactions “conversations” as opposed to “support tickets” didn’t come lightly or as a way to stand out. Rather, we wanted to highlight the difference in feeling between robotic transactions and human interactions. As easily as “CASE#00068694A60000Cgre:ref” rolls off the tongue, we think we can do better. Would you rather be treated as a ticket, or as a person? Great customer service teams understand their job isn’t about “resolving tickets.” It’s about helping people. The software they use should support that personal approach, not undermine it through language and design. Customer portals — where people seeking help need to register and sign into a support ticket system — were designed to make things easier for companies, rather than the customers those companies are actually serving. But in the end, failing to put the customer first is a net loss for companies. When you label your customer with a number, they feel treated like a number. With Help Scout, you have all the power of a customer ticketing system behind the scenes, while maintaining a great experience for your customers. On the customer’s side, all they see is a friendly email. 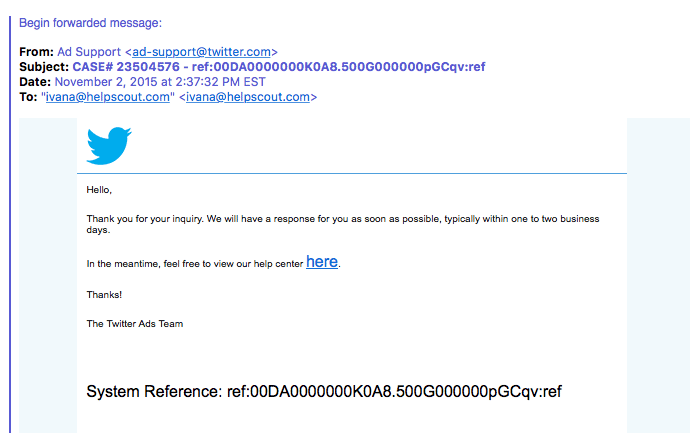 When you respond to your customers from Help Scout, they receive a normal email. There’s no ticket number to remember or customer portal to log into. We designed Help Scout to be a help desk that understands that customer experience comes first. No ugly customer portals, no “## Please do not write below this line ##” or “Re: CASE#00068694A60000Cgre:ref” email subject lines — it’s customer service software that doesn’t feel like customer service software. No one needs to explain what a conversation is. 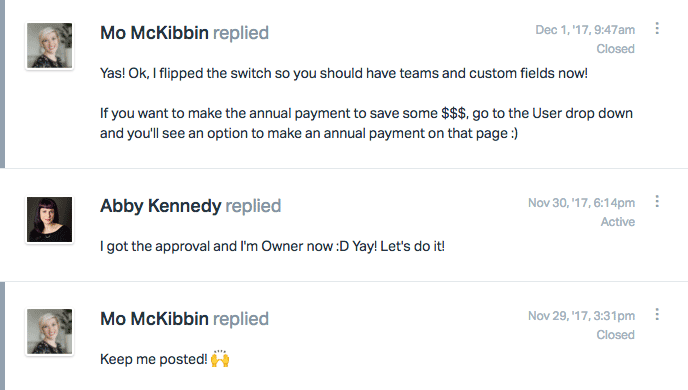 When your support team is empowered to have conversations with customers, you create room for the different, special and delightful kinds of human interactions that a help desk ticketing system can’t foster. That’s why Help Scout doesn’t look like an explosion in a spreadsheet factory, and it’s why people often tell us they love getting help from support teams using Help Scout. 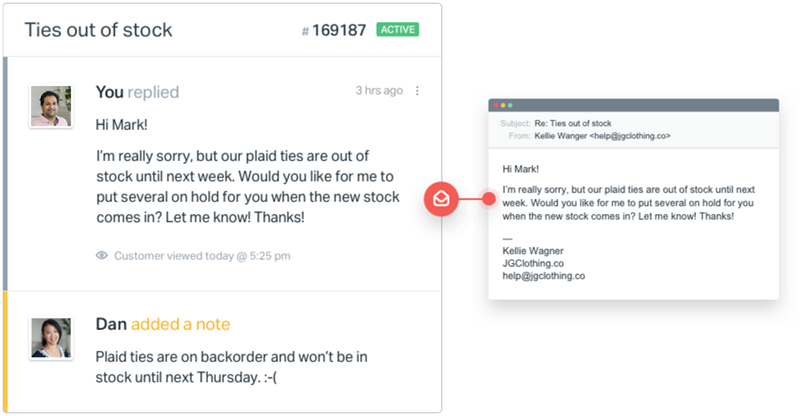 We built Help Scout with all the capabilities of a customer service ticketing system — minus all the impersonal and complicated details. It doesn’t treat people like tickets; it facilitates conversations between the people looking for solutions and the people who can help them. Language matters. Facilitating conversations as opposed to help desk tickets informs all of our decisions, and that’s what makes the difference.